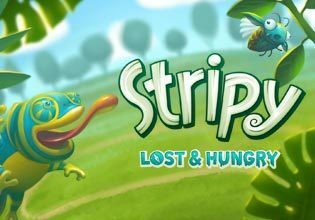 Stripy is Lost & Hungry! Help Stripy get home! Tap to eat Bugs of the same colour as Stripy!